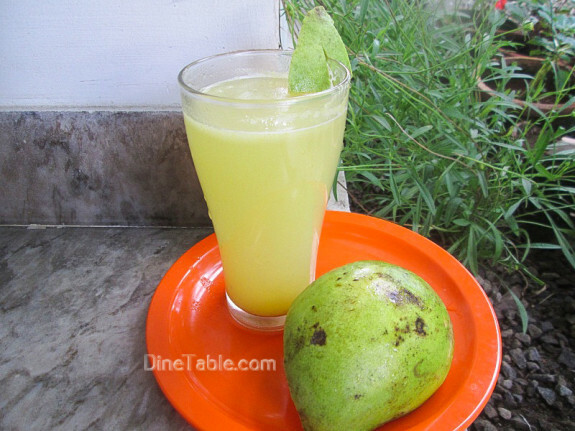 Raw Mango Juice is a delicious and healthy summer drink. It refreshes and cools our body. 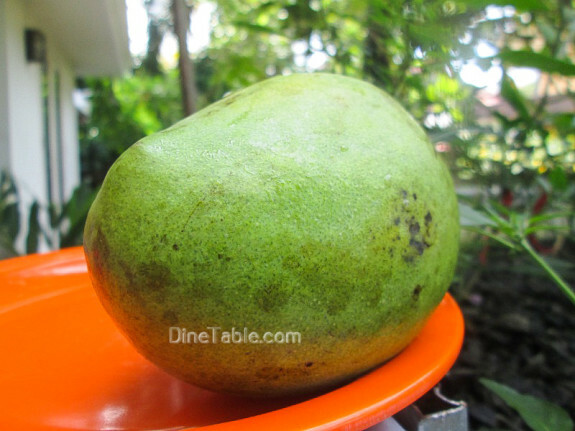 During summer season mangoes are easily available in the market. 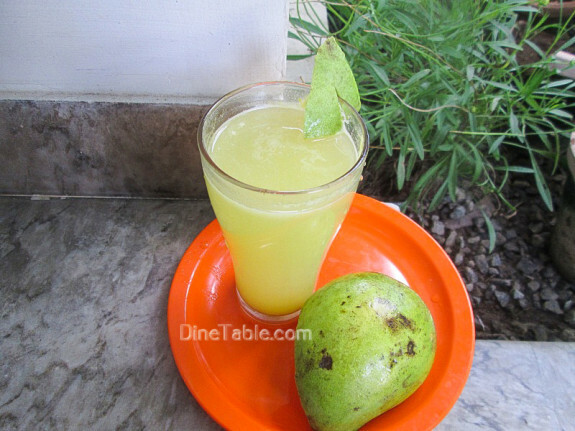 Try out this quick, simple and refreshing summer cooler at your home. 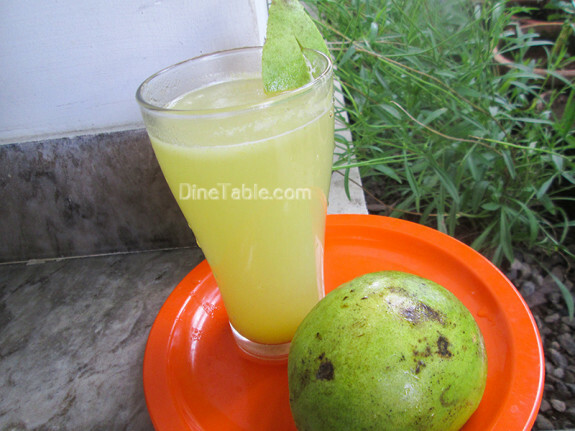 Raw Mango is an excellent source of vitamin C. It helps in weight loss, good for diabetics, treat liver disorders, gastro-intestinal disorders etc. 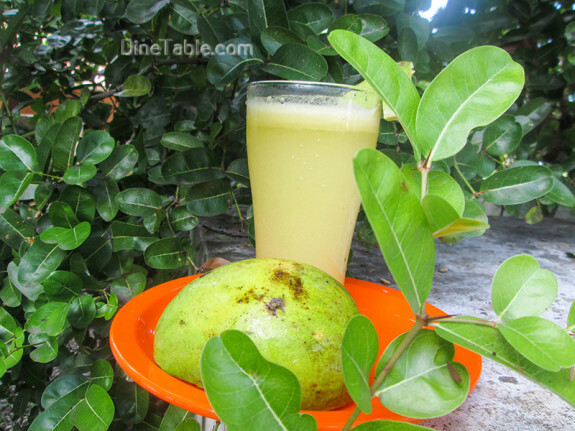 Eating unripe mangoes with salt will prevent the excessive loss of water from the body. Peel the mango and cut it into pieces. Take blender and add raw mango pieces, sugar, water, ginger, salt and blend it for 5 minutes. Strain it with a strainer and pour the juice to a glass. 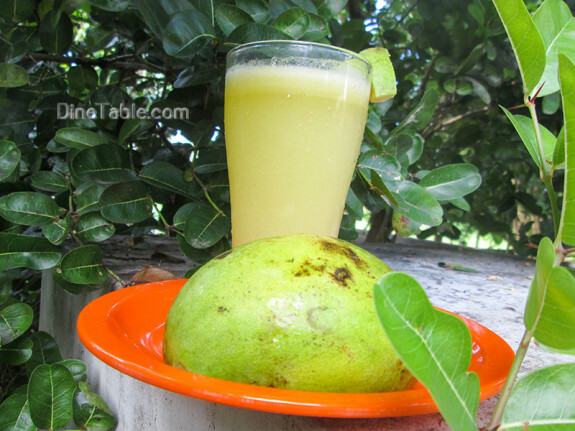 Delicious Raw Mango Juice is ready.